Today I am linking up with Erika and Andrea to talk about my Favorite Things - Accessory Addition. Some of these things are my all time favorites that I wear every stinkin day and some are what I am into this season. Lastly go check out Shay and Shaffer's Mother's Day giveaway!! 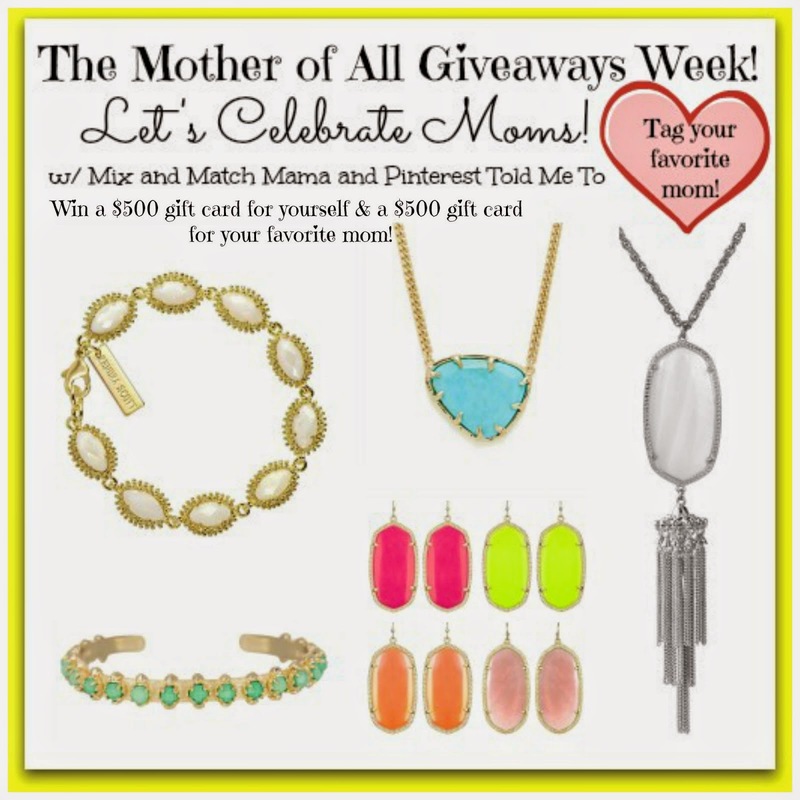 Today, you can enter to win a $500 Kendra Scott gift card for you AND your favorite mom! ALSO, Kendra Scott has given them a promo code for their blog readers. It ends Tuesday night at midnight - so go check it out!! Promo Code: MOTHERSDAYMIX gives you 15% off site wide plus free shipping! Loving the gold link bracelet!!! And I just LOVE Honey Pie Accessories!! Love that monogram necklace!! We have similar taste in jewelry! I love every lit'l bit of this fabulous post!! I especially adore the Tory Burch tote! Super cute! I love that Madwell tote! I have a Madewell bag and I love it. Can't wait to get my next one! Love seeing Stella & Dot on your blog! You should host a virtual trunk show sometime - message me!